Oceania 4 (Australia or Samoa) will be favorites in the Repechage against any Europe 2. But Samoa in tje Repechage offers a good chancw for Europeans, as Spain proved in 2016. Grand Prix will go from June 22 to July 21, being the first leg on Moscow. The other dates pre-known (from a russian federation page) were June 29-30 in France and July 13-14 in Poland; is there a fourth tournament? Or the polish tournament has been moved to July 20-21? Trophy will involve two weekends: June 15-16 (Zagreb) and June 22-23 (where?). Participating teams: Sweden, Belgium, Lithuania, Denmark, Israel, Luxembourg, Latvia, Ukraine, Croatia, Bulgaria, Czech Republic, Bosnia Herzegov. Conference(s) are still data empty. One only weekend involved, apparently: June 8-9. Now that's 7s at its best. So there's the return of the Netherlands but the absence of Iceland, Belarus and Estonia, who played last year. Japan beat Wales in Challenge Trophy SF and that means Wales will be occupying the relegation spot after Sydney 7s... Still a long way to go, but this one could be the season when we see a British nation sink. Canalina wrote: So there's the return of the Netherlands but the absence of Iceland, Belarus and Estonia, who played last year. I don't see anything official from Rugby Nederland about the return of the men's 7s team. It doesn't mean it's not happening though, information isn't always in huge supply round here. I'm almost sure it will go on. This week's camp has been called off because next weekend there's a Top12 round and many clubs changed mind deciding to not concede their players to the 7s national team. 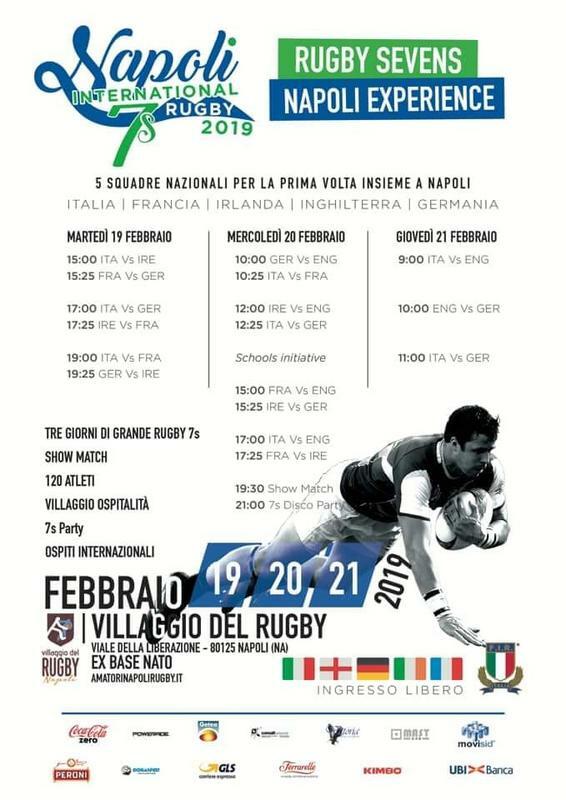 But the week of the Napoli 7s will be without Top12 so probably all the players will be released. Cayman Islands confirmed as the host of the 2019 RAN Sevens, doubling as an Olympic qualifier. Applies to women too. Please check out our new website dedicated to sevens rugby - elite, provincial, club or amateur. If you have any stories for us, please feel free to suggest. Cheers. planet7s wrote: Please check out our new website dedicated to sevens rugby - elite, provincial, club or amateur. If you have any stories for us, please feel free to suggest. Cheers. You could write a preview about the Oktoberfest 7s taking place in Munich Olympic Stadium in september. It seems a good website. I have still not read any article but the first side is good, it has a nice look. And a website dedicated to sevens is certainly welcome. I wish you to keep it for a long time; I manage too a rugby website and I know how much fatiguing it could be (and I'm not alone on writing it). It needs a great passion. Thanks for the compliment. Yes, it's not easy doing it by yourself but I have a passion for sevens rugby and it is something I have wanted to do for a long time. Canalina wrote: It seems a good website. I have still not read any article but the first side is good, it has a nice look. And a website dedicated to sevens is certainly welcome. I could suggest you to link the website to a facebook page, but it's a double-cut blade: the "readers" love the immediacy of facebook so it appears a good tool to attract people; but, for the same reason, they tend to avoid the website when it has a more quickly readable facebook page. Yes, that's a good idea. I"m trying to figure out if there is a way I can automatically post on Facebook each time I publish a new story. Maybe one way is to use only links from the website on Facebook posts. Canalina wrote: I could suggest you to link the website to a facebook page, but it's a double-cut blade: the "readers" love the immediacy of facebook so it appears a good tool to attract people; but, for the same reason, they tend to avoid the website when it has a more quickly readable facebook page. I first went to this event in 1982 ... Hong Kong Sevens is still the biggest and the best! planet7s wrote: Yes, that's a good idea. I"m trying to figure out if there is a way I can automatically post on Facebook each time I publish a new story. Maybe one way is to use only links from the website on Facebook posts.